I seldom accept requests to review self-published books because of their tendency to be lacking in quality (professional editors and publishers’ rejection letters exist for a reason!). However, the premise to this one (ISIS must be stopped from using consumer-grade robots to deliver bombs) sounded interesting enough that I decided to risk it…that risk did not pay off. Stylistically this was amateurish. The dialogue was stilted and little more than over-explained info-dumping. The narration switched erratically between first and third person. Most of the characters were so flat as to be virtually indistinguishable. The actual plot of the story involving ISIS didn’t really begin until almost halfway through the book. The first 88 pages was a little setting and lots of meandering regarding current and near-future breakthroughs in robotics & AI technology and their implications for economics, politics, ethics, etc. Most of the plot threads in this first half became completely inconsequential or remained unresolved once the actual story started. The actual story lacked believability. Like most people who were alive in 2001, I remember the national fear, anger, and bravado that followed the 9/11 attacks. I sense very little of that here even though the attacks are of a similar magnitude. 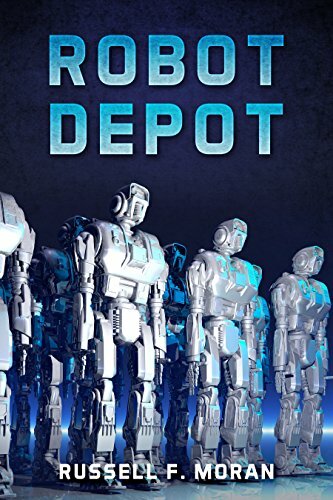 Our plot is mostly about the CEO of Robot Depot sitting around with his lawyers, PR people, and the FBI and discussing how to save his company (and stop further attacks, of course). There is little sense of a nation in crisis outside the boardroom, and it just doesn’t ring true. Then, in the last few chapters this becomes a completely different style of book and it all ends in sadistic vigilante “justice” to which the government turns a blind eye. In summary (since I’ve already gone on way too long), I seldom give a book fewer than 2 stars, but this one is so lacking in style and plot that it richly deserves 1.5 (the extra .5 is because some of the economic and ethical questions raised in meandering bits were somewhat interesting).